The Toyota Land Cruiser is a timeless icon; for over 60 years of global adventure, it’s taken people to some of the farthest stretches of earth. 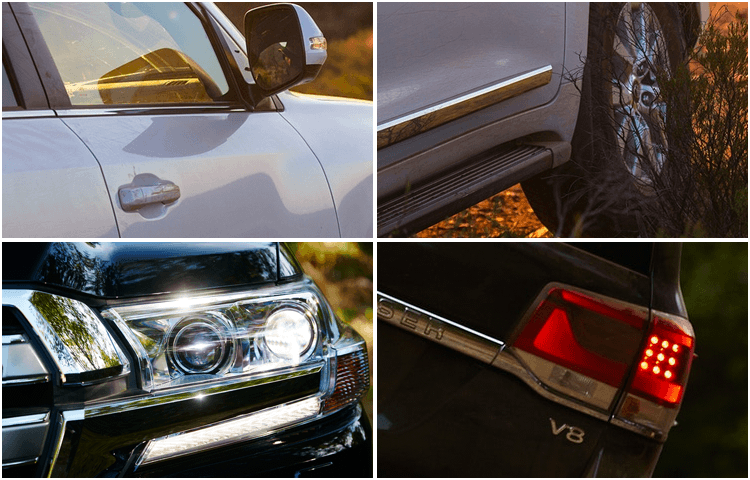 The 2018 Toyota Land Cruiser is now being produced, and we think you’ll find that it’s truly an incredible vehicle worthy of carrying on its predecessors’ legacy. Keep on reading to learn more about the 2018 Toyota Land Cruiser, or check out our other 2018 Toyota model information pages. When you’re ready for a test drive, give us a call or use our online form. We look forward to meeting you soon at Titus-Will Toyota! The 2018 Toyota Land Cruiser is designed to impress both inside and out, combining luxury and ruggedness beautifully. 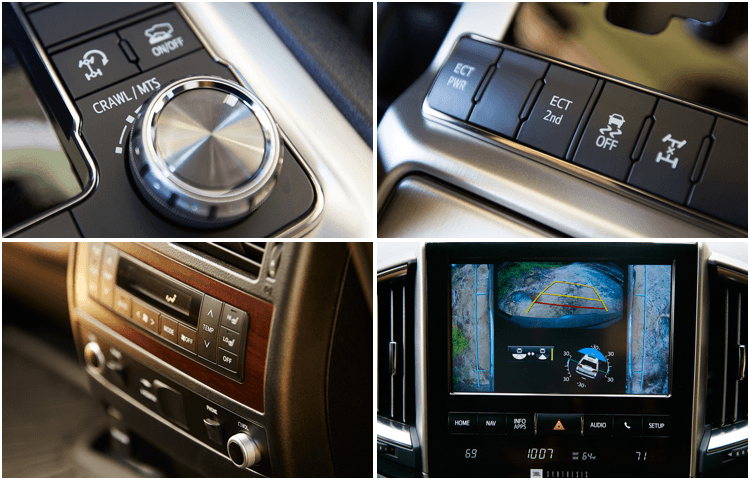 The outside of the 2018 Land Cruiser comes with impressive features like 18” alloy wheels, LED projector-beam headlights, color-keyed heated power auto-dimming outside mirrors (with cameras, turn signal indicators and vortex generators), a power tilt/slide moonroof, a roof rack, aluminum running boards, and skid plates. Step inside and you’ll be treated to a luxurious interior appointed with semi-aniline perforated leather. You’ll love the comfort of the multi-stage heated and ventilated front seats and the four-zone automatic front and rear climate control--and you’re sure to love the extensive technological features like standard rear-seat DVD entertainment system, auto-dimming rearview mirror (with compass and HomeLink®), Qi-compatible wireless mobile device charging, and Entune™ Premium JBL® Audio with Integrated Navigation, App Suite, and 14 JBL speakers. 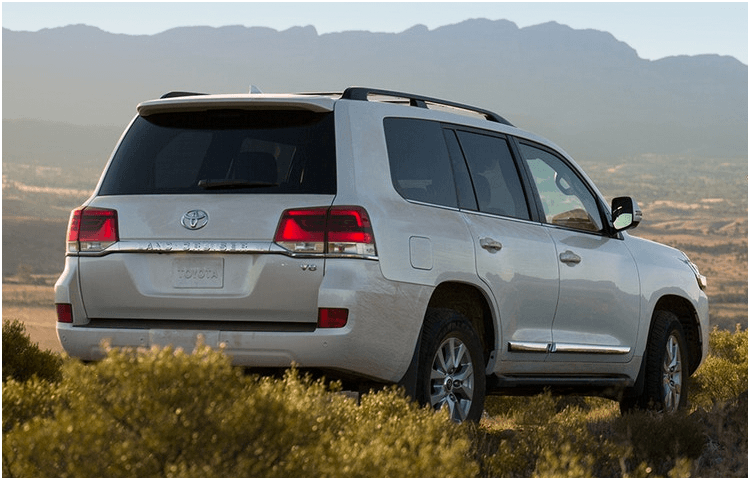 Your safety is always important, and Toyota has gone the extra mile to make sure that you’ll be protected when you drive a 2018 Toyota Land Cruiser. Both Toyota Safety Sense™ P (which combines Pre-Collision System with Pedestrian Detection, Lane Departure Alert with Sway Warning System, Automatic High Beams, and Dynamic Radar Cruise Control) and the Star Safety System™ (which consists of Vehicle Stability Control, Active Traction Control, Multi-terrain 4-wheel Anti-lock Brake System, Electronic Brake-force Distribution, Brake Assist, and Smart Stop Technology®) come standard on the 2018 Land Cruiser--and this is just the beginning! Ten airbags, active headrests, a highly rigid body structure, side-impact door beams, Blind Spot Monitor, Rear Cross-Traffic Alert, Hill Start Assist Control, and more all work together to make sure you get where you need to go safely. The Toyota Land Cruiser is built to perform--and it’s tested in the Australian Outback to make sure it can stand up to just about anything. The 5.7-liter V8 engine puts out a stunning 381 horsepower and 401 pound-feet of torque, while the 8-speed Electronically Controlled automatic Transmission with intelligence adjusts shift logic depending on variables like vehicle speed, incline, and throttle input (it also lets you shift manually with a sequential shift mode if you prefer). The rigid frame and impressive suspension (front independent double-wishbone suspension with coil springs and stabilizer bar, rear 4-link suspension with coil springs, stabilizer bar, and semi-floating axle) give the 2018 Land Cruiser the sturdiness it needs for off-road adventures. It also comes with amazing off-road-specific features like a Kinetic Dynamic Suspension System to keep optimal traction, Torsen® limited-slip differential, Multi-terrain select, and Crawl Control with Off-road Turn Assist, which automatically modulates the throttle and brakes on five low-speed settings. 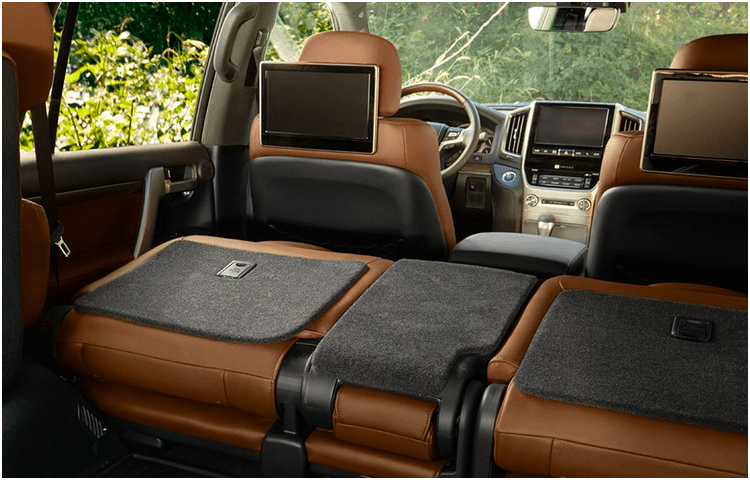 The 2018 Toyota Land Cruiser even comes with a Multi-terrain Monitor, which gives you the ability to check your surroundings! Give us a call to experience the impressive 2018 Toyota Land Cruiser, and prepare to be impressed!